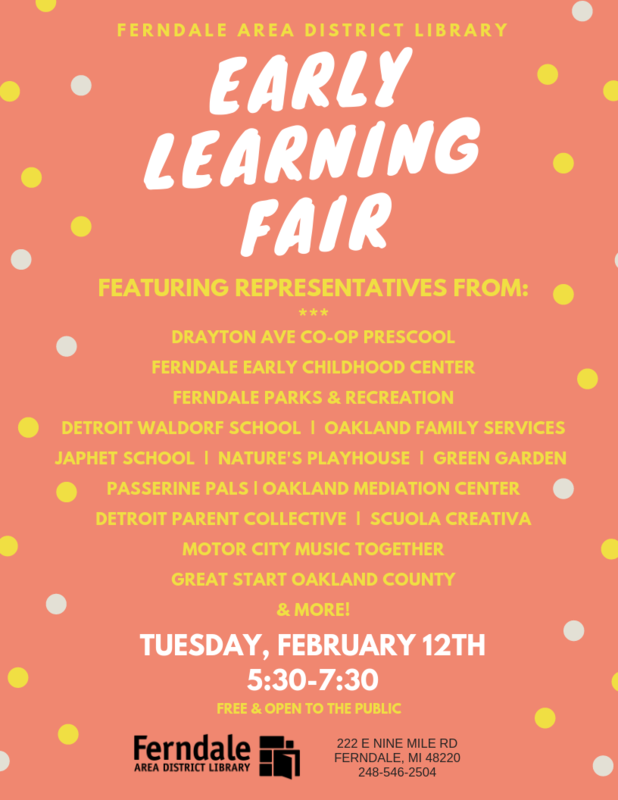 Join us for an evening open house with representatives from local preschools, daycares, and early learning centers. Featuring: Drayton Avenue Cooperative Preschool Ferndale Early Childhood Center Ferndale Parks & Rec Detroit Waldorf School Oakland Family Services Japhot School Nature's Playhouse Green Garden Passerine Pals Oakland Mediation Center Detroit Parent Collective Scuola Creativa Motor City Music Together Great Start Oakland County No registration required. Open to the public.